There’s no excuse to be left uninformed. 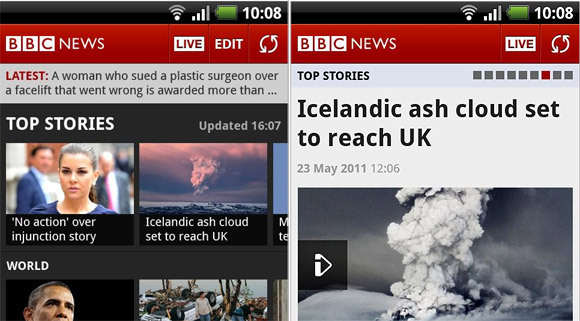 Last May, BBC launched its BBC News Android Application but it was made available in UK only. Now, Android users from all the parts of the world can install and upload the said app from the Android Market. The official app of the BBC is filled with top stories that come with catchy headline thumbnails. It is now easier to listen to World News Bulletin, Live BBC World Service or watch the 1-minute global news summary. You can also choose the option to be notified with breaking news stories.